I have a confession to make. I love simple food. The tastes I experienced as a child are still some of my favorite things to eat today. When I was growing up, we went on a school field trip to a local apple orchard. I was so excited by the apple trees, sorting house, baskets of apples, and the apple cider we were given at the end of the tour, I convinced my parents to go to the orchard. And they did, and we brought apples and cider back home. 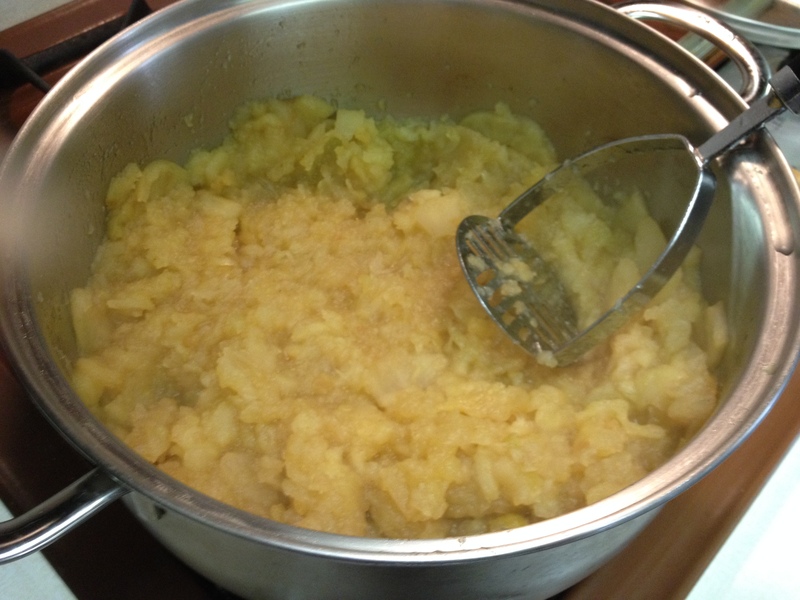 The apples were turned into pies and the apples into homemade applesauce, peeled by hand and put into our giant aluminum stockpot also used for vegetable soup in the winter. A little sugar and spices, and we were enjoying the essence of autumn. This week I had a spare hour and looked in the refrigerator. I saw a net bag of Granny Smith apples, unopened. I purchased them and planned to bring them for lunch. A noble plan that never materialized. Along with a few odds and ends of Gala apples and miniature Pippins that would doubtless end up in the trash if I didn’t Do Something. 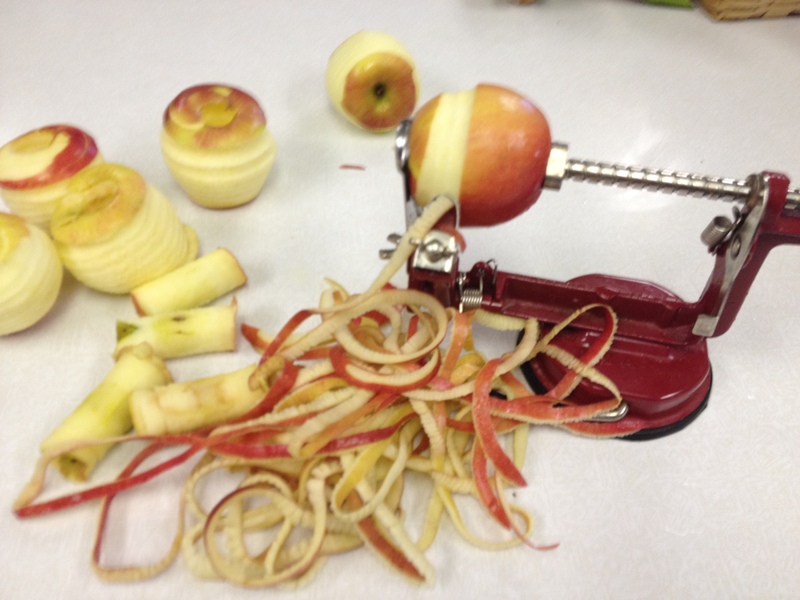 I decided to make applesauce, and got out my fabulous Amish apple peeler which peels and cores apples in one magical fell swoop. This time I added apple cider to the sliced apples, to increase the apple goodness. 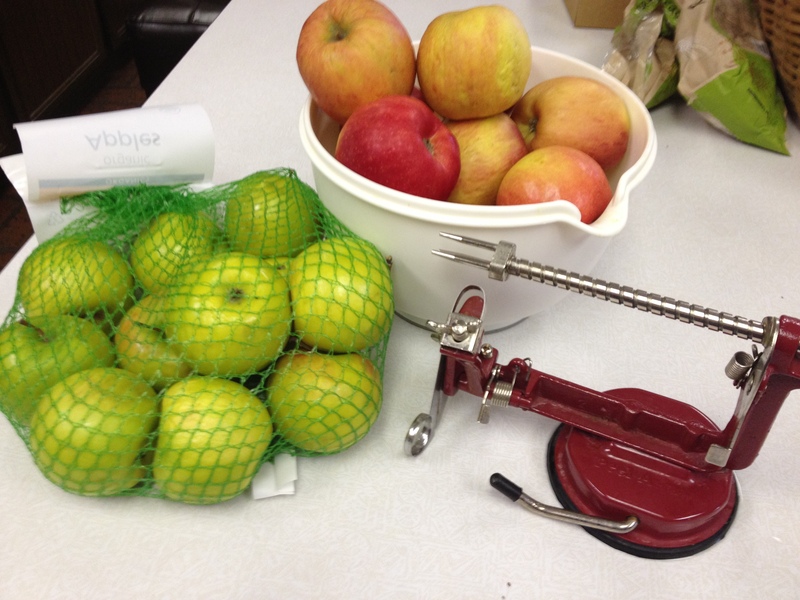 In 45 minutes the apples and cider were transformed into a lovely mass of goodness. A few tablespoons of sugar, a dash of cinnamon, nutmeg, and allspice. I was back in the apple orchard with one bite. When Marie Antoinette cried, “Let them eat cake,” it is said the French word she used was brioche, the pillowy, egg and butter-rich long-rising yeast dough traditionally made in a tinned and fluted brioche mold with a topknot of dough. This insult, telling her starving and displeased subjects to enjoy a luxurious hybrid between bread and cake, was a galling choice of words. My 10-minute secret: the bread machine’s dough only setting. Let technology do the hard work for you. 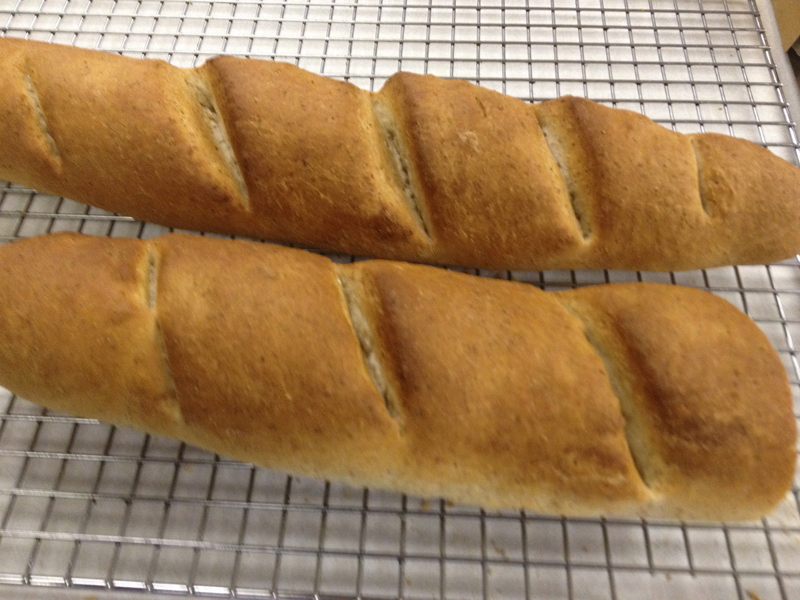 When ready to form divide dough in two pieces; roll in baguette shapes, slash, and let rise covered in saran on an oiled pan for 30-40 minutes. Bake at 425 deg. For about 30 minutes. 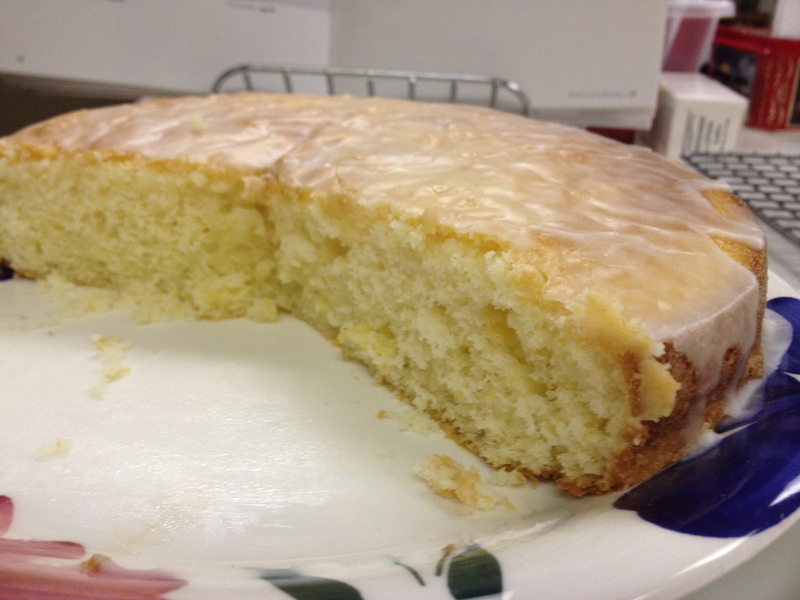 Lemon cake…divine. Easter treat enjoyed by all. 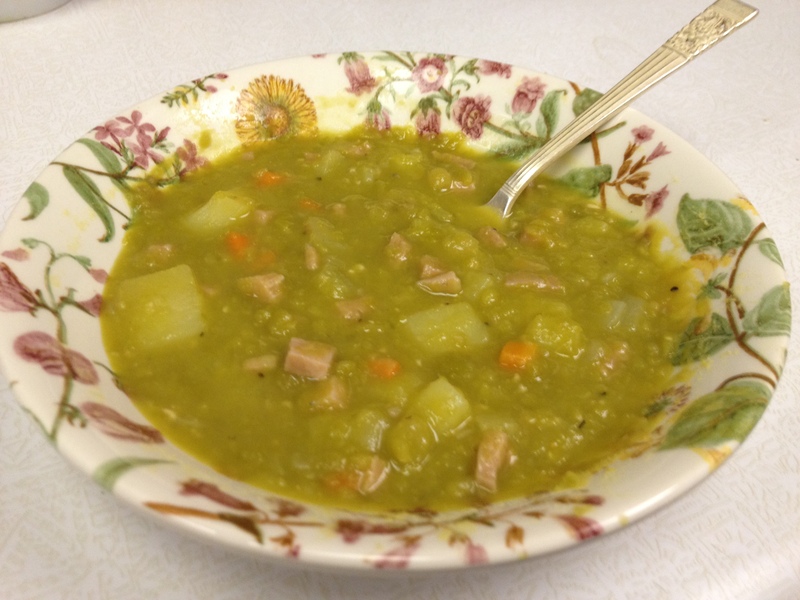 I first fell in love with split pea soup in foggy, wet Ventura, Ca. one winter. 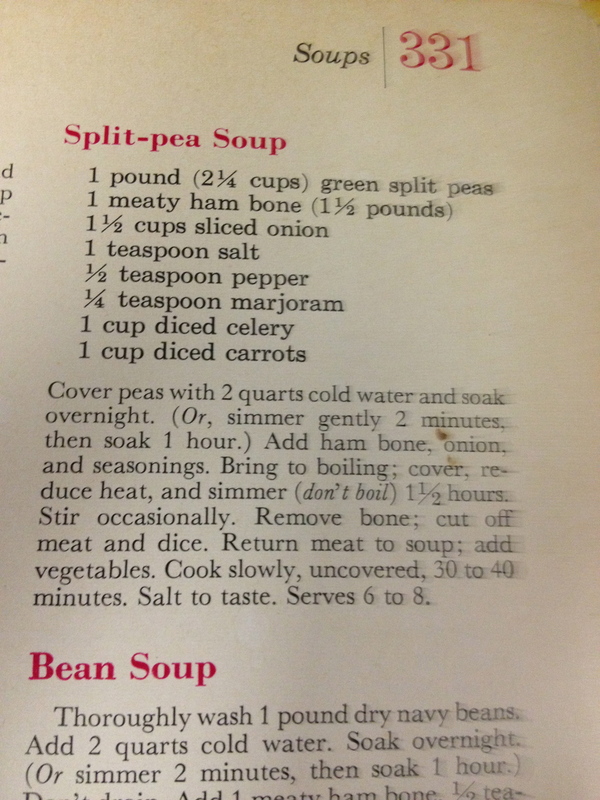 I went to a local restaurant practically every day for lunch and prayed this would be the soup of the day after first having it…it wasn’t often on the menu, but it was always served by an angry young man that resented his lot in life. I can’t blame him, but I remember him and the soup fondly. This is my effort to re-create it. What happened to my chicken soup? That’s the beauty of poached chicken breasts. 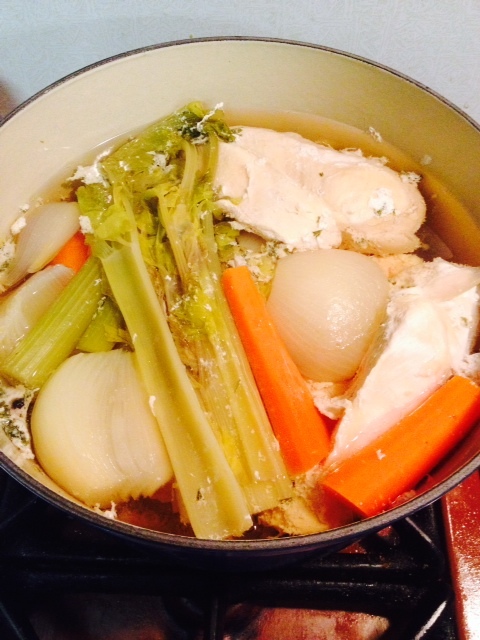 They became chicken salad, because I never made it to the grocery store to buy matzo meal for my matzo ball soup. Next time. I always promise myself! In a world full of inauthenticity and Madison Avenue sales pitches, “More, better, bigger!” I’ve decided my soul is crying out for something genuine, solid, and real. There is something lovely about staying in your PJ’s on a Sunday and doing something in the kitchen. Today I’m longing for comfort. 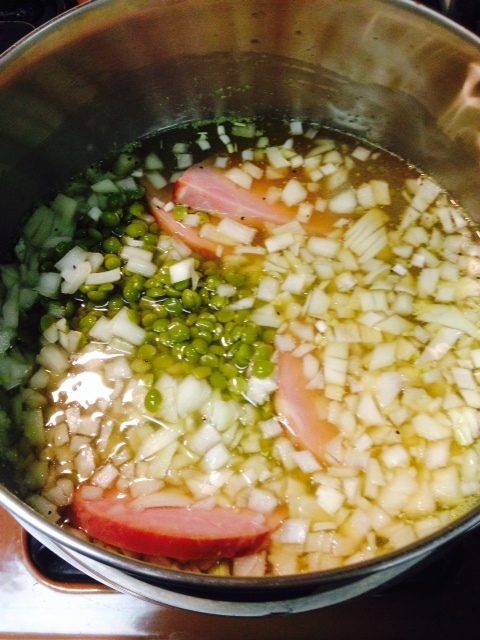 Exhausted by a weekend seminar class and the relentless presence of people, noise, and irritation at the world, I’ve decided to retreat into my cave and poach chicken breasts and make split pea soup. How far along I will proceed will be determined as the day goes on. Photos to follow.